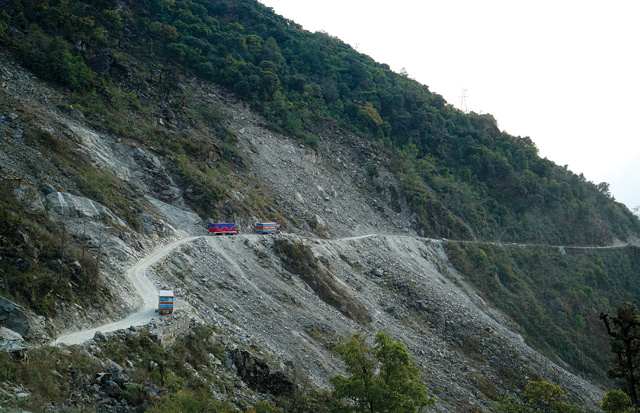 Over the hump: Trucks navigate the treacherous road on the Nepali side of the border in Rasuwa. 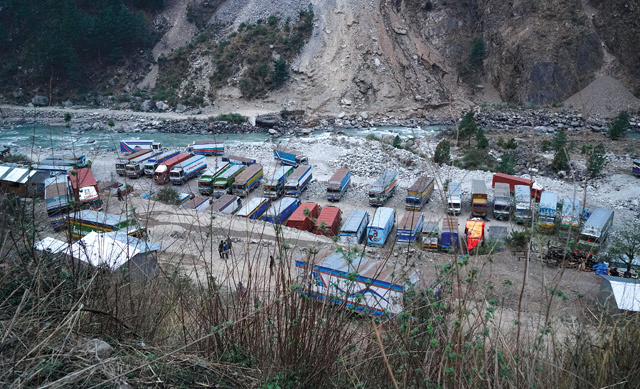 Trucks waiting for customs clearance at Timure of Rasuwa, where China is helping Nepal build a dry port. 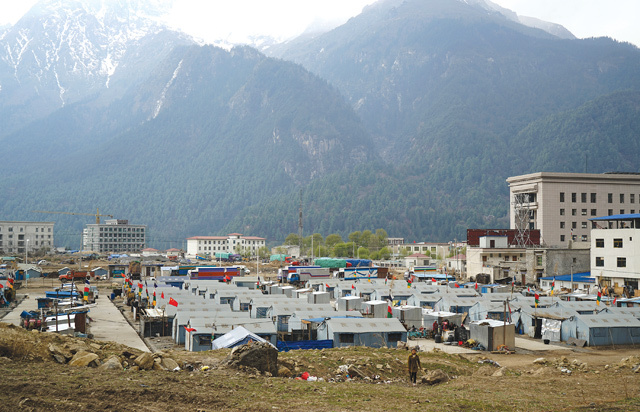 Tents for earthquake survivors in Jilong just across the border in China . 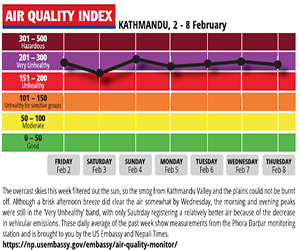 It was the Indian blockade and the shortages of fuel and essential goods that injected a sense of urgency in Kathmandu to expedite reopening the road links to China. Kathmandu requested Beijing to help restart the border points. Beijing acted quickly to do so at the Rasuwa Gadi-Kerung border, but has so far kept Kodari sealed even though the earthquake damage there has been repaired.